You are here: Home / Digital Pianos / What is the Best Sounding Digital Piano? In this article, we will take a look at some of the factors that go into discovering what some of the best sounding digital pianos on the market are. In doing this, we’ll look at a number of things like the course the sound, tone, machinery behind the sound, and the engineering of the instrument. We will take a look at how this is implemented at the beginner, intermediate, and advanced level, and take a look at some of the aspects pertaining to different companies, as well. 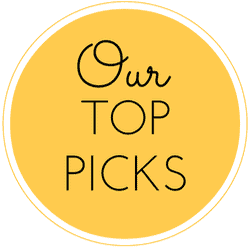 Below, check out our interactive table that lists a variety of great sounding digital pianos–everything from instruments better suited for beginners to ones more apt for intermediates and even advanced players. This is why pianos around the beginner level seem not to sound as great, or offer as much, but the more you progress towards the advanced market, you begin to get pianos that come closer and closer to the real thing. Pianos at the beginner level usually skimp out on some of the more important things that are needed to really produce a great machine, but sometimes you can find models that are a great buy for the price range. Beginner level pianos usually do not have the major tone generation systems or the technology to support a deep sound, so if you find one that is really good on this level you should hold on to it. One example of this is the Casio Privia PX-130. 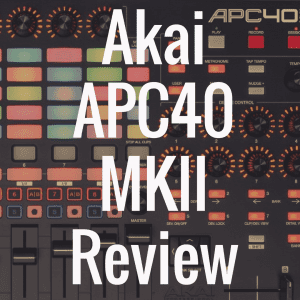 This is a phenomenal machine that has so much to offer, for a beginner type price. The nice thing about the PX-130 is that it’s versatile and robust enough to meet the demands of both a beginner and intermediate player. The sound on this instrument is truly professional and is perfect for any setting, whether at home, or on stage, or in church. The secret to the PX-130’s success is that is has a better tone generation system than most beginner pianos, with the 4-level stereo sampling system with Linear Morphing technology. This is supported by two 5’’ x 6’’ speakers with double 8 watt amplifiers, so the sound you get in the end is quite good given its price. There is a reason you see many Privia keyboards in performance settings. You can find the PX 130 for around $500 online. 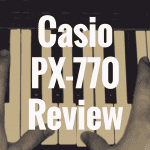 NOTE: Please read the more recently reviewed Casio PX-160 digital piano here. For more on intermediate-level digital pianos, please read our following article entitled: What’s the Best Digital Piano for Intermediate Players? One of the reasons why this piano sounds the best is because it is supported by Yamaha’s Pure CF sound engine for its tone generation. Many companies resort to different techniques for creating their own proprietary tone generation systems, and many times this involves sampling real pianos and then layering them at different levels to correspond the touch sensitivity and velocity of the user. There are a number of generations of the Pure CF sound engine, but all of them are based on the real, live samples of world-renowned Yamaha CF full concert grand pianos. There is the Pure CF, Pure CFII, and Pure CFIIIS systems, which can be found in many Yamaha digital pianos. The Pure CF system in the Yamaha P 105 has 128 notes of polyphony to back it up and all of this works together to create an amazing sound. You can find the P 105 online for about $600 or $650 with a bundle package. 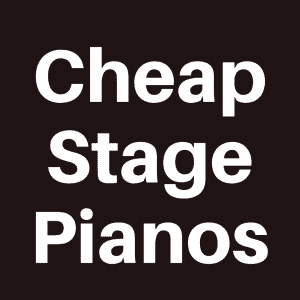 Choosing some of the best sounding pianos at the advanced level can really be a problem. Why? Because at this level, the pianist is looking for the most exquisite level of piano, and it does not matter what combination of resources is needed for that. Price is still a factor, but many times at this level, it is understood you will have to pay a bit more to get what you need. But, you will get the best sounding piano available. One of the best options at the advanced level is the Roland RD 300NX (you can read our review of the Roland RD-300 NX here). 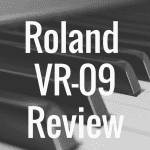 Roland has always been known for the awesome sound they produce for digital pianos. The RD 300NX continues that legacy of superior sound. Granted, this piano is built more for the stage, but it certainly has the technology and engineering to back up the opinion that it’s one of the better sounding pianos on the market. This piano has incredible grand piano and electric piano sounds, which are included in a total of 939 sounds on the entire machine. For some people that may be too many options, but for a performer, this may be exactly what you need. The unique thing about this digital piano is that with all these sounds, there are different sound generators for different categories of sounds–four in total. There is a SuperNATURAL piano engine, a SuperNATURAL electric piano engine, a PCM sound generator, and Roland’s GM2 system on board. With that much technology on board, you know you will get the perfect sound for the perfect environment every time. Sometimes there may be a bit of a difference that you might find in the sound of digital pianos ranging from slabs to uprights to many other different models. The most immediate difference you will likely find is between slabs and many uprights, as slabs by default contain a lot of synthesizer, workstation, and instrument heavy type of digital pianos. The slabs sometimes contain a lot more sounds, and a lot of different voices, while the uprights and mini digital grand piano types will focus more on the authentic sounds. This can be illustrated using two different machines, one being the futuristic Suzuki S-350 mini digital grand piano. This piano is probably one of the closest things you will find to a real grand piano. When you compare this to a slab type piano, you might look at something like a Roland 300NX, which doesn’t have as realistic a sound, but will most likely be much more affordable. I say all of that to simply say this: it’s important to understand the level of “trade off” you have to make when you buy a piano. The “best sounding piano” is hard to quantify, not just because everyone has different tastes and hears a bit differently, but because if you honestly want the “best sound,” you’ll probably have to sell a kidney to get it. 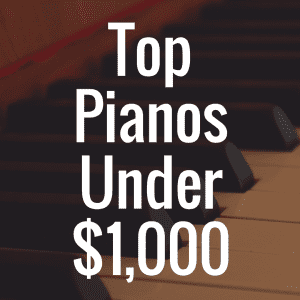 It all comes down to price—what’s the best piano I can get for my money. I think that the pianos we listed and discussed above are all great for the price range that they are in. They all bring something to the table that’s unique in the sound department. Are they perfect? No. Will they make you forget about an acoustic piano playing experience? Not at all. But they are quite good for the level of piano player and their price point. What’s the Best Digital Piano Available on the Market? 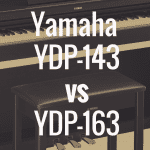 Kawai ES-100 vs Yamaha P-115: Which is Better? What’s the Best Digital Piano with Weighted Keys? For more information, we encourage you to bookmark Digital Piano Review Guide so you can read future articles about these wonderful instruments.